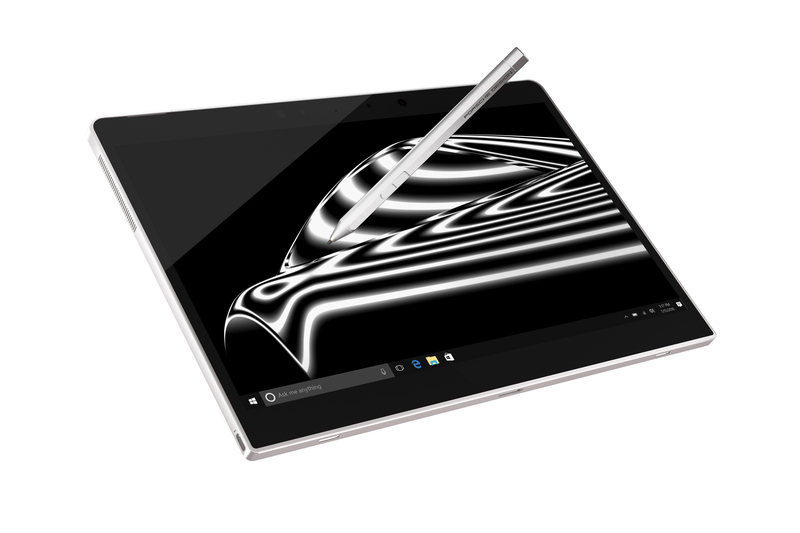 Last week Microsoft sent out invites to an event at MWC later this month, where Porsche Design will show their premium 13" 2-in-1 detachable. 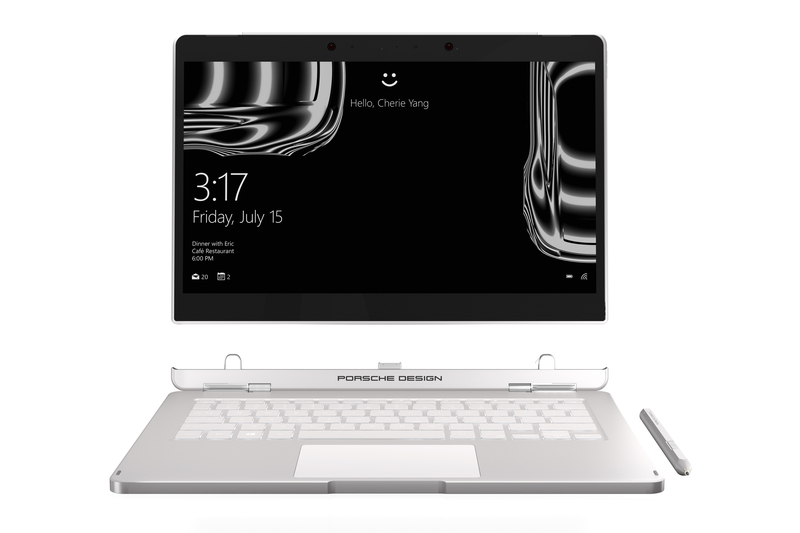 Together with Microsoft, Porsche Design is presenting a particularly high-quality "2in1 device" based on Windows 10 at this year's Mobile World Congress. 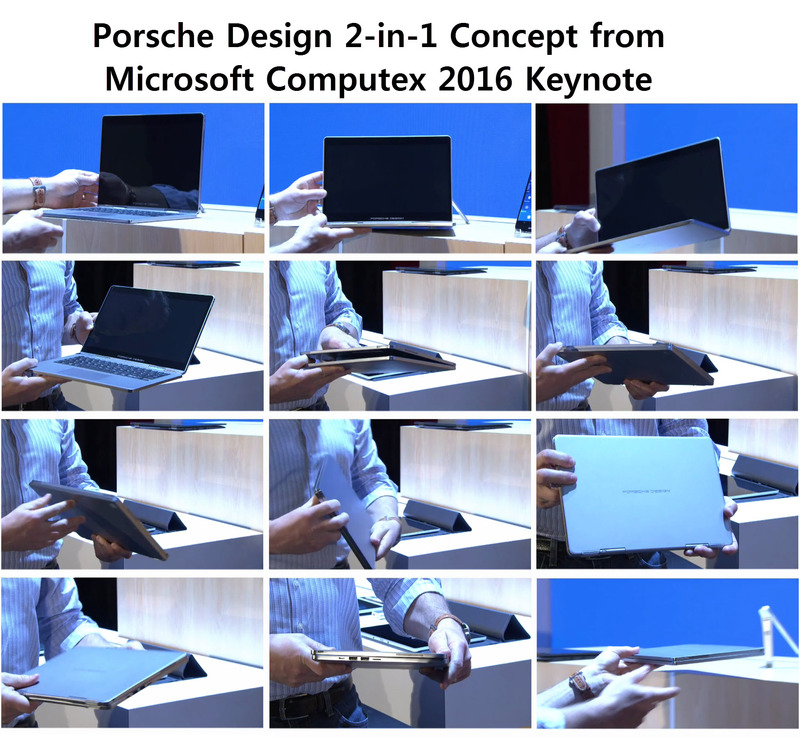 The premium device was developed in close cooperation with Microsoft and Intel and becomes the first of the new product category "Porsche Design Computing". Together with Porsche Design, we cordially invite you to the global launch of the device on 27 February 2017 in Barcelona. 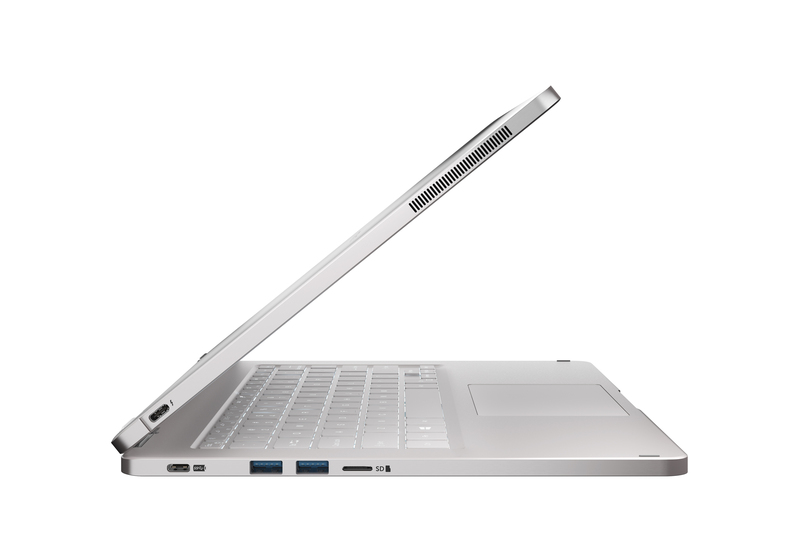 With its functional design, the "2in1 device" embodies the design language of the premium lifestyle brand. 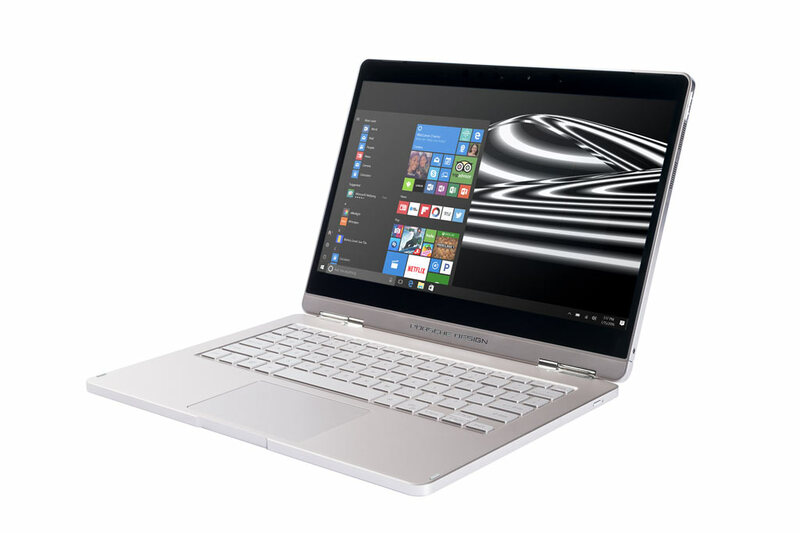 Optimized for Windows 10, the high-end device can be used as a full-featured laptop, powerful convertible and removable tablet. On-site, you will be able to test the device live in exclusive hands-on sessions for the first time and to exchange with Porsche Design, Intel and Microsoft company speakers. An equally inspiring and enjoyable evening awaits you. alextrela182 and Marty like this. 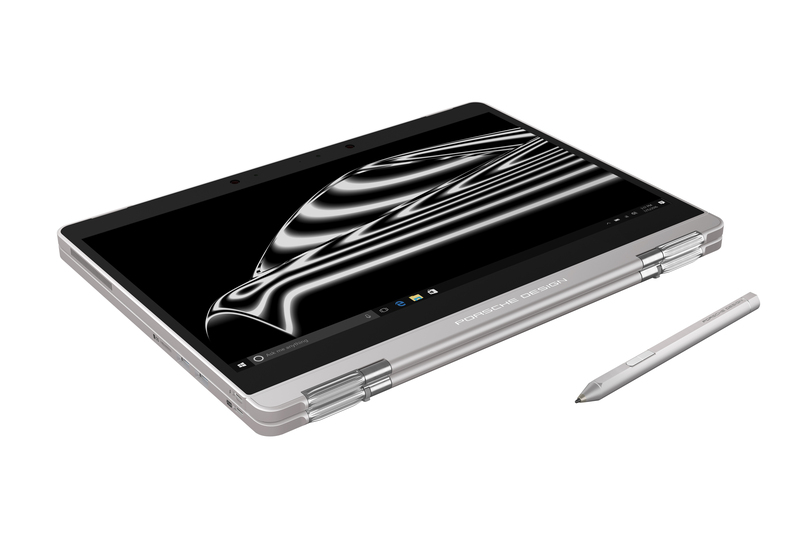 Porsche Design will show their premium 13" 2-in-1 detachable. Looking at the pictures, I don't really see any obvious points of detachment. Maybe it's actually just pure yoga style 2-in-1? Amazingly, they've designed a slightly boxier Macbook Pro. You know what would have been really revolutionary? A logo that flips over when you put the device in tent mode. The press invitation specifically mentions "a removable tablet". I guess/hope they wouldn't make a mistake when writing it. But who knows. The concept that was shown at Computex wasn't a detachable, but that could be for several reasons. First off, that concept was never shown to anyone, so it might not have been a working prototype, but just a non-functional mockup. As such it might also have been just one of several design ideas they were playing around with at the time. I dimly remember other Porsche computers and they were more or less rebranded Dells. Porsche Design ist mostly a design studio. They did make some stuff for themselves in the past but they are also often hired by other brands to design all kind of products. I guess they are more often seen here in Europe than on your side of the pond. At Computex in Taiwan they mentioned a local partner, so that could be just an OEM but they could also be working with Taiwan-based Acer or Asus. In the end what matters is how good the final product is. I just hope their focus is functional design (like what we see in the Surface line) and not just design over function (what Apple seems to be doing). Two new teaser images. I think the announcement is going to be today or tomorrow. JoeS and WillAdams like this. So, today it became official, it is called the Porsche Design Book One. 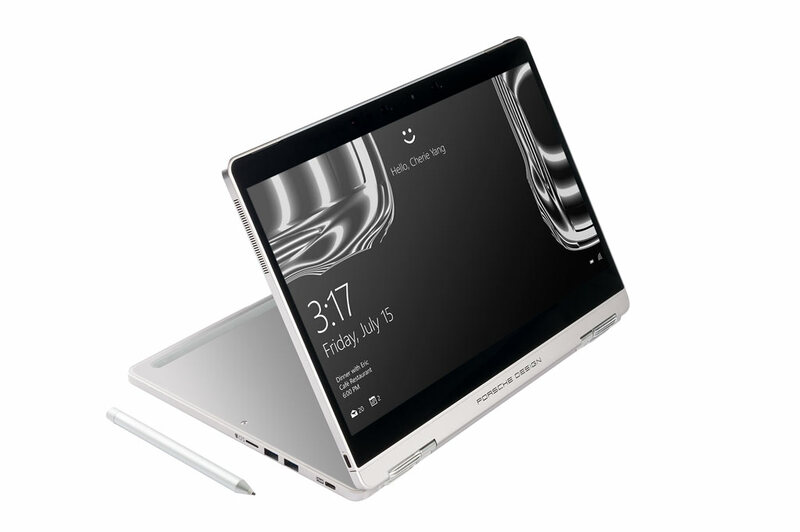 Interestingly it has both a fancy 360° hinge and a detachable tablet portion. It comes with a Wacom AES pen with 2048 pressure levels. Sadly, it has a 16:9 13.3" screen (3200x1800). If it wasn't for the 16:9 screen this would be a nice premium Surface Book contender. Marty, bloodycape, ATIVQ and 1 other person like this. That last thing means that in principle you could just have the tablet portion laying on your desk with one TB charging/docking cable attached and work on one (or more?) high res monitors. The only things missing: smart cover for screen protection on the go, and a kickstand on the tablet. Still, very nice effort! One slightly disappointing thing (apart from pricing..) is that the tablet is 1.67 lbs, and yet still only offers 3h battery life. The SP4 does a LOT better at the same weight, of course with slightly smaller screen. Nice overview at The Verge with video. WillAdams and kvoram like this.